The Ecocirc solar pump can be used wherever a highly efficient circulation pump is needed without a direct connection to AC power. It can be connected directly to a photovoltaic panel and is characterized by its small size, high efficiency, very low power consumption and its MPP tracking. The shaftless spherical motor technology enables a long, maintenance free and quiet service life. Areas of application are thermal solar systems for single family homes. The principle of the spherical motor, which was invented by Laing, is fundamentally different from conventional canned motor pumps. The only moving part in a spherical motor is a hemispherical rotor/impeller unit, which sits on an ultra-hard, wear-resistant ceramic ball. There are no conventional shaft bearings or seals. This rules out, in effect, the possibility of play in the bearings and the increase in noise associated with it. These pumps are particularly robust and give exceptionally long service. The self-realigning bearing is lubricated and cooled by the media. Maintenance is not necessary under normal conditions and even after lengthy shutdown periods a reliable start-up is virtually guaranteed. 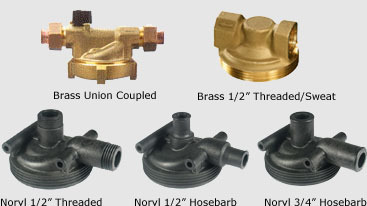 The parts exposed to the fluid are completely corrosion resistant. The pump has been programmed for a soft start-up. When the photovoltaic panel provides sufficient power, the pump first goes through the alignment phase, turning the rotor into the position required for start-up. Then the processor waits until the built-in capacitor has recharged sufficiently. 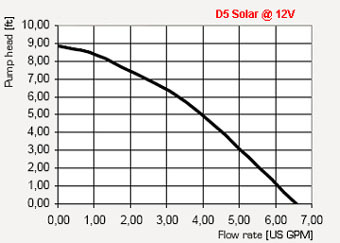 This enables a start-up with minimal power (less than one Watt). Cycling due to unsuccessful starting attempts is minimized. Even after prolonged shutdown, the pump will start reliably. The Ecocirc DC pumps are the first and only spherical motor pumps with self-optimizing software (see diagram). Every three seconds, the processor will modify its operating point on the voltage-current curve of the PV panel to find the point of maximum performance. This is called the “Maximum Power Point” (MPP). 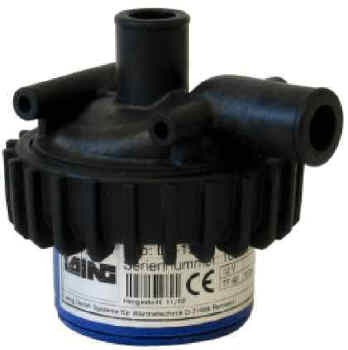 At this point, the pump achieves the maximum rpm and therefore the maximum performance. There is no need for a separate performance adaptation, the pump will always find its best operating point under any given light and temperature conditions by itself.